Bring your snacks and beverages and plan for a night with your feet up. 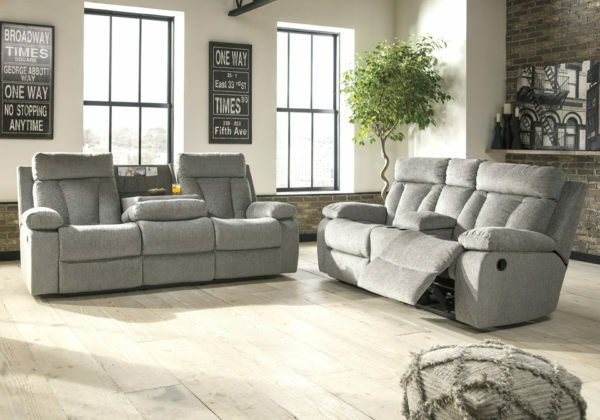 This sofa set is plush in all the right places, and will support you longer than you can binge watch your favorite TV show. The neutral upholstery is ready for a patterned throw blanket and some of your time. Hide the remote in the console and claim your spot on the Mitchiner.